I’ve used similar things in the past. Some were chunks of foam fastened in a strategic location. Others were shallow trays to contain stray hooks and tackle or little ledges with holes to poke hooks to keep lures in check. 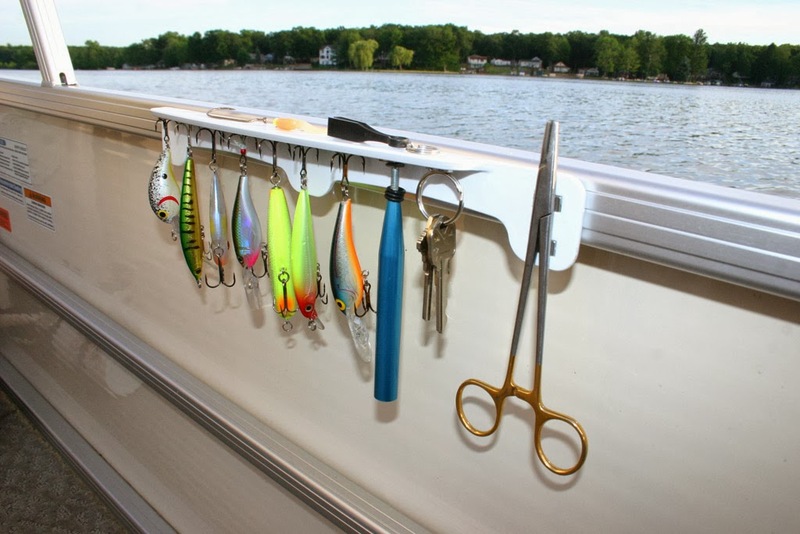 It was just as easy to put a lure back in the tackle box as in the temporary hook-holder. So what makes the Gear Grabbar different? Magnets! And more. The more is the aluminum bodied Gear Grabbar is configured similar to a piece of angle iron. Mount the GG so the back part of the angle is against the mounting surface, the other part of the angle is like a shelf with the imbedded magnets facing down. Mounting is simple with two-sided sticky-tape dots (included) or by fastening to the backing with stainless steel screws or bolts. When you take out a lure, or take it off the line, it’s simple to just slap it up under the GG and it sticks. The magnets are so powerful, you can throw the lure at it and the hooks will stick. When they are stuck under the ledge, they are much less likely to catch on pants, shirts or worse, skin, if you accidently brush against the GG. Join me while I leave the boat on the trailer and help show you some of the highlights of my outdoor world.